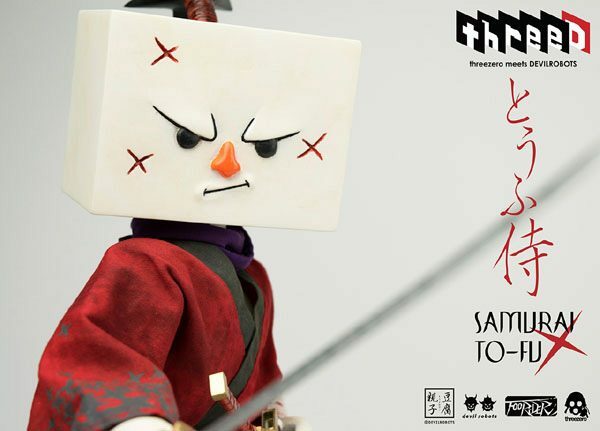 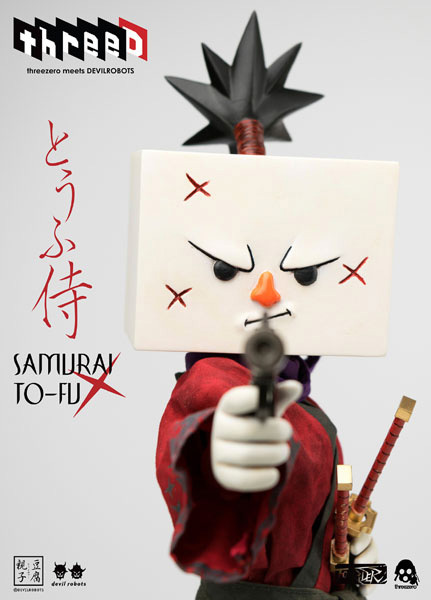 threezero meets DEVILROBOTS 1/6th scale Samurai TO-FU collectible figure will be available for pre-order at www.threezerostore.com starting from April 29th 9:00AM Hong Kong time for USD 198 / HKD 1540 with Worldwide Shipping included in the price. 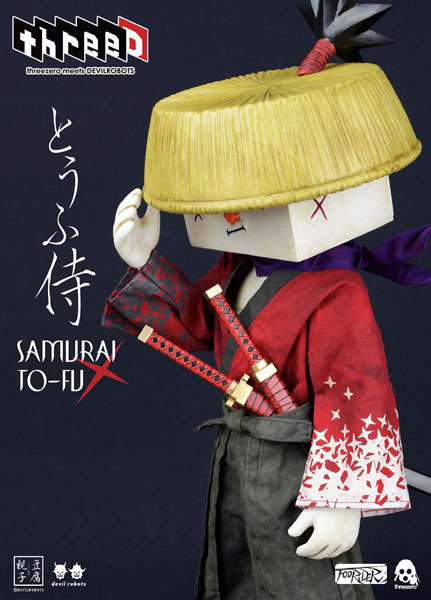 Samurai TO-FU collectible stands 15 inches / 37.5 cm tall; features highly detailed clothes (kimono, scarf and bamboo hat) and unique head sculpt; comes with following weapons: samurai sword, wakizashi and gun; five exchangeable hands. 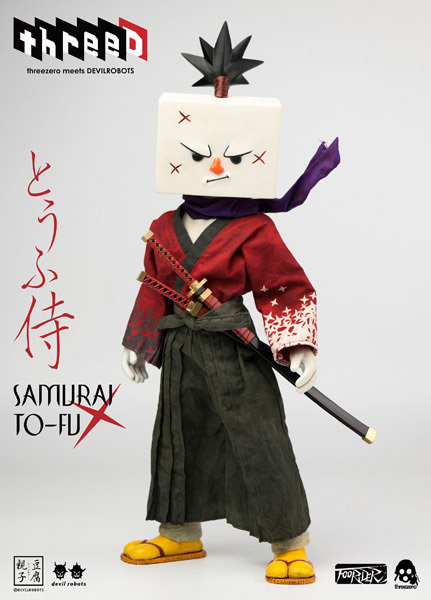 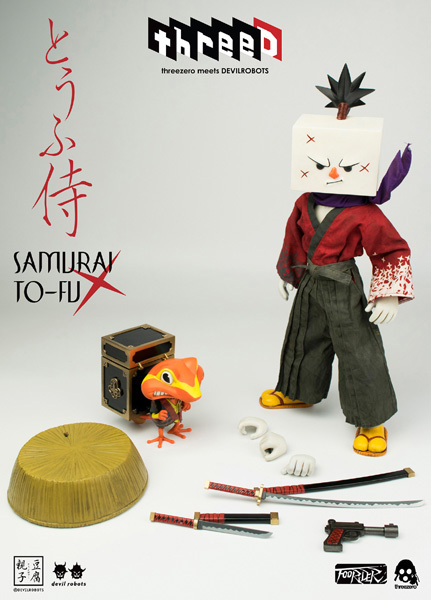 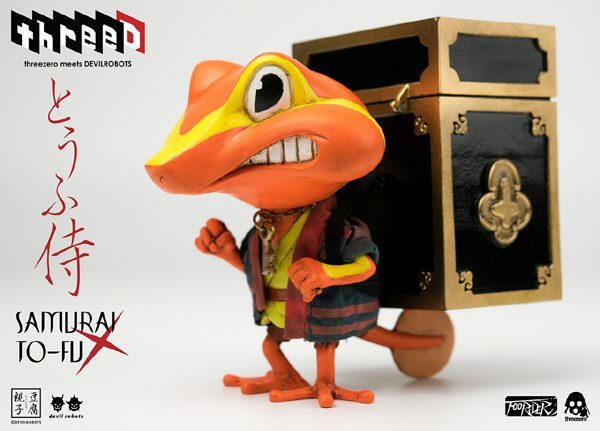 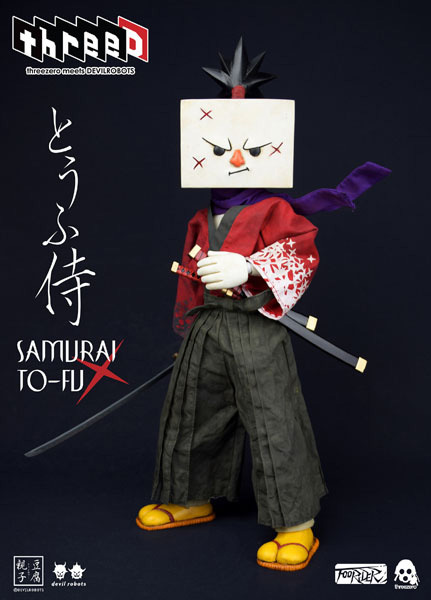 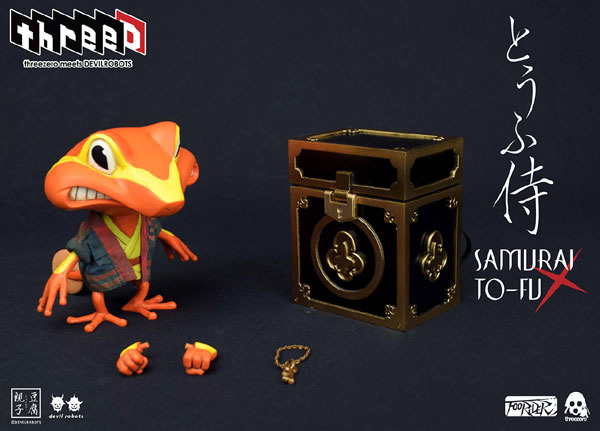 Samurai TO-FU is accompanied by Frog, who comes with cabinet and two pairs of exchangeable hands.